Too often discussions of management practice focus exclusively on managing people and organizational issues. Rarely, however, do they incorporate a discussion about technology or address all three dimensions in a balanced way. When they do, the result is game changing. In our hypercompetitive environment, those managers who are outstanding at being plugged into their people, technology, and organizational processes simultaneously excel at coming up with effective business solutions. 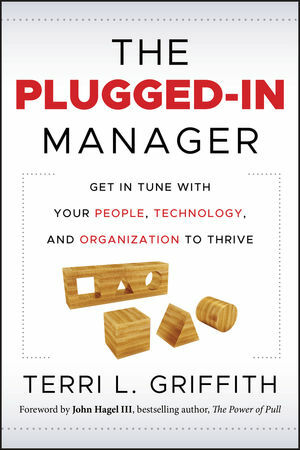 The Plugged-In Manager makes the case that being plugged-in—the ability to see choices across each of an organization's dimensions of people, technology, and organizational processes and then to mix them together into new and powerful organizational strategies, structures, and practices—may be the most important capability a manager can develop to succeed in the 21st century. Step by step Griffith shows you how to acquire this ability. Filled with compelling case studies and drawing on first-hand interviews, The Plugged-In Manager highlights this often neglected managerial capability and the costs of only focusing on one dimension rather than all three. Terri L. Griffith is a professor ofmanagement at Santa Clara University in Silicon Valley. With more than 25 years of research in organizations of all sizes and across industries, she has developed deep insights about the realities of working with technology. She writes the award-winning blog "Technology and Organizations." To find out more, please visit terrigriffith.com.